Over the last few years home security systems have become more and more popular. These systems are able to provide homeowners with recording capabilities that allow them to see exactly what is going on around their home and help protect them from theft or vandalism. That is just a couple of the basic camera features. When you are selecting a security camera, you need to look and see what all of the advanced features are for the system. Make sure you select a system that will provide you with the peace of mind you need, as well as the security level you are searching for. Some of the computer based security systems and digital video recorders allow you to record directly from your camera, as well as from a remote Internet location. These systems will connect into a DSL or cable Internet connection to help provide you with the ability to view everything that your cameras are seeing through an Internet connection. Depending on what type of surveillance system you purchase, you may need a browser to view everything or it may be just a matter or installing the specified software to allow viewing from a remote location. Being able to view all of your footage from a remote location, means that you will always be in the loop for anything taking place around your home. You will have the peace of mind you need to make sure everything is in place around your home. One of the more common features of security systems is the ability to view cameras from a computer based location. If you have an advanced system, you will have the ability to record through your computer on an Internet connection. Given all of these features, you can even record your computer video to a computer. This way if someone were to steal your digital video recorder or computer right from your home you would still maintain a copy of everything in a remote location that is away from the original site. Beyond just the remote recording capabilities, there are some of the security systems that allow you to view all of your recorded footage through an iPhone. On the iPhone there are two different types of viewing options that you can choose from. 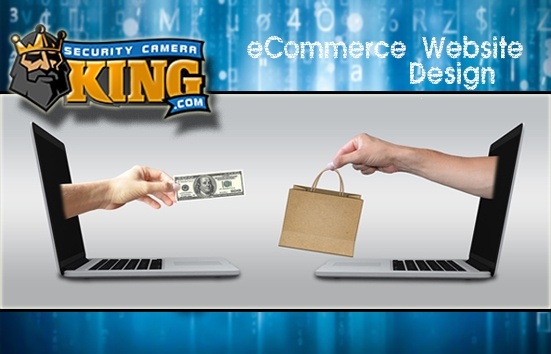 First, the most basic form of viewing technology is the web based application. This form of viewing allows you to have a basic overview of your home via a web browser. It will load up a JPG image from the camera, which then allows you to refresh the page and update the image at a rate of one per second. You will be able to view four cameras at a time with this remote viewing feature, which makes it almost as popular as the digital video recorders. Secondly, the more advanced form of technology is the one that has been designed to work alongside your computer based digital video recorder. With this type of system you will have a lot more features than ever before, as well as live video streaming. You can also control the pan/tilt/zoom cameras, control all of the digital outputs and inputs, playback all of the video you have recorded and even send pictures of your property directly to your iPhone. These computer based systems give you a variety of functions and features for iPhone users everywhere. Beyond just the iPhone, there are applications that work along with other types of technology as well. As the home surveillance systems become more and more prevalent across the United States, more customers are looking for ways to ensure their home is covered on a monthly basis. There are numerous systems out there to choose from all with varying ranges of quality, easy installation and the option of viewing your information via the Internet. One of the most popular features for customers is the ability to view all of your footage through the Internet. A lot of systems have remote viewing potential using the Internet, but there are different levels and features that make up the remote viewing capabilities to help you choose a system. Sometimes you may have to pay a monthly fee for access to remote viewing on your computer and iPhone. However, you should not be required to spend anything extra out of pocket just to view your information on the Internet. Why is that you ask? Simple, any system that has the ability to connect to the Internet will use your existing connection. Hence, all you should need is your software that came with your camera system for connecting to the Internet and streaming video from your digital video recorder. Most of the reputable systems are not going to charge you a monthly fee to use your system on a regular basis. Viewing your security system from a remote location offers you a lot of different security systems with different levels of remote capabilities from your iPhone or other smartphone. The standalone digital video recorder helps to deliver a basic remote viewing capability of all your security footage directly to your phone. A standalone unit is a recording device that records footage directly from your security camera and connects them directly to the Internet for viewing. These units have a basic viewing option that allows you to view all of your security camera footage onto your PDA device, providing it supports digital video recording. Each one of the digital video recorders will have similar features and different devices that are supported. The software designed for one digital video recorder is not going to be the same software that will work with all of the other digital video recorders. In general, most of the digital video recorders will only provide live viewing capabilities from the supported phone. Another type of security system is the computer based digital video recorder. This system is complete with a digital video recorder card and all of the software needed for installing the equipment onto your computer. It allows you to record information from your security system directly to the hard drive of your computer. These systems are able to offer a far more enhanced level of processing than the typical standalone units. Due to the enhanced processing levels, there are a lot more features and functions for being able to view your information through your iPhone. The digital video recording systems will offer you an increased video quality and frame rate for remote viewing. Since the computer has enough power to process information and recompile the video, you will receive the best transfer through the Internet and your iPhone, regardless of how slow your Internet connection is. All of the systems will come complete with a built-in capability for playing your video back from a remote location, such as your iPhone. You can also control all of the digital outputs and inputs, which provide you with a connection into your alarm system, garage door, lighting system and much more. In order for the systems to work, you will need to have a Windows based computer directly on site for all of your recording capabilities. Delivering a higher level of options for remote viewing from your iPhone through the Internet has never been easier. When it comes to choosing which type of security system you need, you need to go through and check out all of the features and functionality of your system that you are looking into. 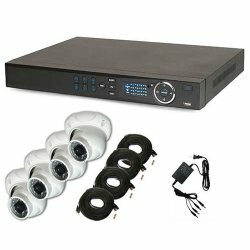 Make sure you determine which level of viewing your need in your home security digital video recorder to employ the proper features. If you choose a digital video recorder that does not have all the features you are going to require down the road, your digital video recorder will only be able to operate using the software that has been designed for your digital video recorder. Choose a system that provides you with the playback features you desire to help save on the cost of having to replace your digital video recorder down the road. You need to choose where you want to place your security cameras. It might be that you only need one out front to be able to see what’s going on or who might be at your door. In the end, you might decide that you need to have more than one security camera to cover all of the entry points into your home. Once you have decided how many cameras you need and where you are going to put them you need to determine whether or not you want a wired camera or a wireless one. Previously wireless cameras were not as stable as their counterparts, but will all of the changes in technology over the years you will be able to rely on them just as much as you can any other camera. Consider how simple they are to install. If it is easy to run a simple wire from your camera into your computer, you can help economize by making that decision. Another way to look at it is that you will not have to drill any holes and have a bunch of wires hanging around your property. Wireless can provide you with a lot of options that were not there before. After you have determined the location and type of cameras you plan on using, you will want to decide how you are going to monitor your cameras. You may choose to implore a live video stream that can be accessed over a computer with Internet capabilities, as well as your iPhone. Another thing you need to consider is whether or not you are going to want to record the video surveillance. If you are planning to record the footage, you are going to need to purchase some type of storage unit. Depending on what type of software comes along with the camera, you will have to make sure it is compatible. 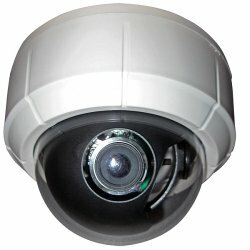 You can now start searching for different types of web cameras now that you have an idea what you are looking for. As soon as you have made this decision, you will go ahead and proceed with the purchase. Once you have your product in hand, you will need to begin preparations for setting your camera. Open everything up to get an overview of what you are working with. Read through all of the instructions. Do not avoid this critical step or else something could end up being installed improperly. You are more than likely going to have to attach your camera into your home network for configuration, regardless of whether or not it is wireless. There are a few devices on the market that allow you to set everything up instantly. If it is not an automated system, the corporation will have to implore someone who is familiar with technology to make sure everything is installed properly. Now comes the time where you are going to want to install the cameras throughout your location. Make sure you are following the directions during this step. Ensure you have all of the proper tools and safety gear to install everything around your home. Once you have everything installed, you will want to go through and ensure everything is working properly. Have someone stand in front of the camera and make sure you can see them. If it is not functioning right, you will want to go in and do some adjustments to make sure the view is perfect. After everything is where you think it needs to be, you will want to run a few tests. 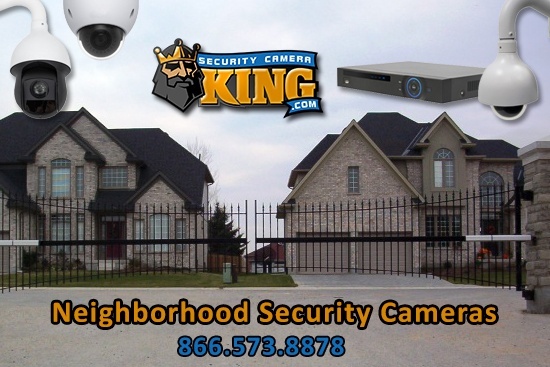 If you have gotten the system that provides viewing from the Internet, you will want to have someone who is outside of your home pull the camera footage up on their device to make sure they are able to see it. The last thing you want is to assume you are done and then find out that something was not working properly.